Ernesto Valverde admitted he felt his side's attitude to keep going was key as Barcelona scored two late goals to come from behind and beat Rayo Vallecano 3-2. It was the visitors who took an early lead after Jordi Alba squared the ball from the left hand side into the path of Luis Suarez, who scored a real poacher's goal and tucked the ball into the back of the net. Despite going behind, the home side grew in confidence, and soon got their reward thanks to a fantastic strike from Jose Pozo on the edge of the area which beat Marc-Andre ter Stegen. They deserved to draw level, and 15 minutes into the second half they got themselves in front. A Raul De Tomas header came off the inside of the post and landed at the feet of substitute Alvaro Garcia who - having only been on the pitch a matter of seconds - managed to tuck the ball into an empty net to stun the visiting fans. After a spell of sustained pressure, ​Barcelona finally clawed their way back into the game thanks to a well-taken effort from substitute ​Ousmane Dembele with three minutes left. Then in the 90th minute, Suarez popped up at the back post and got on the end of a searching Sergi Roberto cross, steering the ball into the back of the net an earning his side a dramatic win. Speaking to the club's ​official website after the game, Valverde admitted he was happy with the win and praised his side's attacking attitude. He said: "I was happy with the victory. Our attitude was always the same, to go for it, and that's what gave us the win." 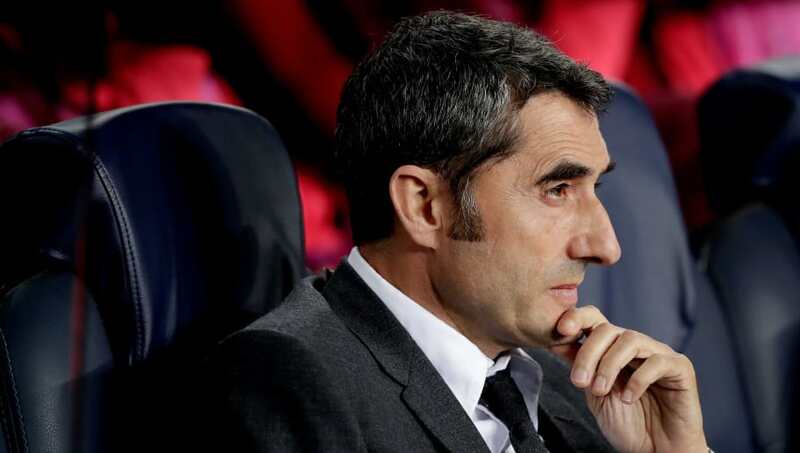 Valverde went onto admit their opponents caused them many problems but also praised the character within his team which helped them come back. He added: "We started well, but then we lacked depth. We had many problems with our opponents and once they scored, they grew in confidence. "In the end we had to go for it, trying to find finishes from within the area, and if that couldn’t be achieved, trying another way. The important thing is the character of this team." The win ensures Barcelona remain top of La Liga by a four point margin, however Valverde will be looking for a much better performance from his side when they travel to Milan to face ​Inter in the Champions League on Tuesday night.